If you, your parents or grandparents traveled any part of Michigan’s western shoreline on vacation the drive probably bumped along some part of the century-old West Michigan Pike. Nearly 100 years after that directory was written and exactly 100 years after the route was designated as the West Michigan Pike, its towns, resorts, beaches and attractions are still drawing vacationers. We’re revisiting Lake Michigan getaway destinations along the Pike in a five-part summer road trip series that began with the sister towns of Benton Harbor-St. Joseph. 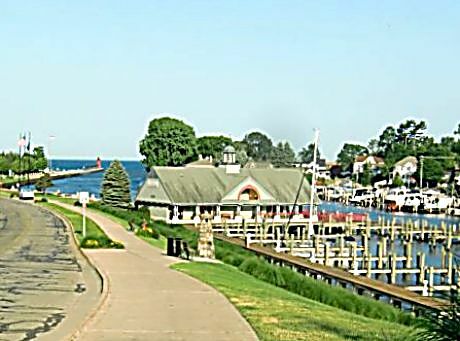 Second in our series is South Haven at the mouth of the Black River. Walk down the hill along the harbor to the beach. A lighthouse stands tall at the end of South Pier. To do the local roads and scenery from Benton Harbor north you can take the Blue Star Highway which is Michigan Highway 63 part of the way or go over to United States Highway 31 which also follows some of the old Pike routes. At this point US Highway 31 over-laps Interstate 196. Your destination lies ahead. 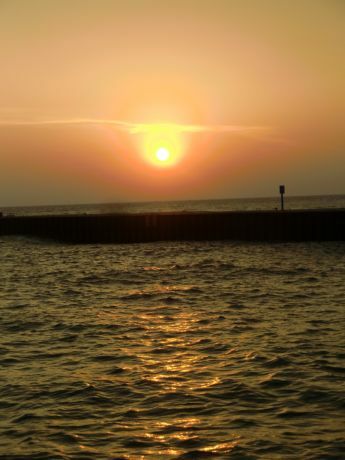 The harbor and beach town of South Haven offers a quiet getaway. Cheery accommodations of B&Bs, comfortable condos, cottages and inns welcome guests a few blocks from the beach and lighthouse. Settle in, then go exploring. 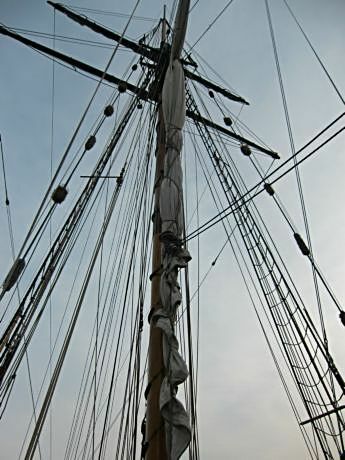 That tall mast you spy in the harbor is the Friends Good Will Tall Ship. That tall mast you spy in the harbor is the Friends Good Will Tall Ship, a historic reproduction of an early 1800s sloop that could have participated in the War of 1812. Its costumed crew takes passengers out onto Lake Michigan to cruise the shoreline. The ship docks at the Michigan Maritime Museum which is worth a stop for its historic perspective and Coast Guard memorabilia. Stroll down to South Beach at Riverfront Park and out to its 1903 South Pier Light. Watch kite surfing or just walk the beach. The shoreline is a beautiful mix of dunes, cliffs, beaches, boats and endless seascape. Be sure to return at sunset. The view is picture perfect.